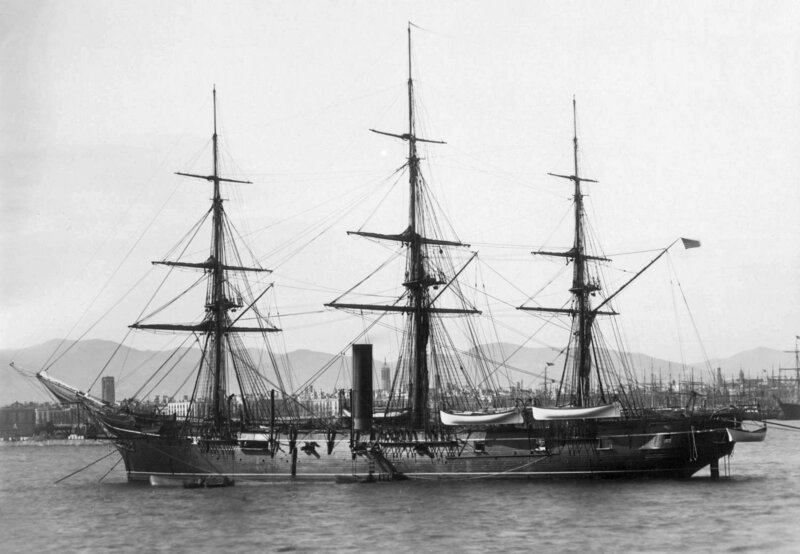 203k USS Quinnebaug at Barcelona, Spain, 20 May 1888. She visited Barcelona to celebrate the city's Universal Exposition. 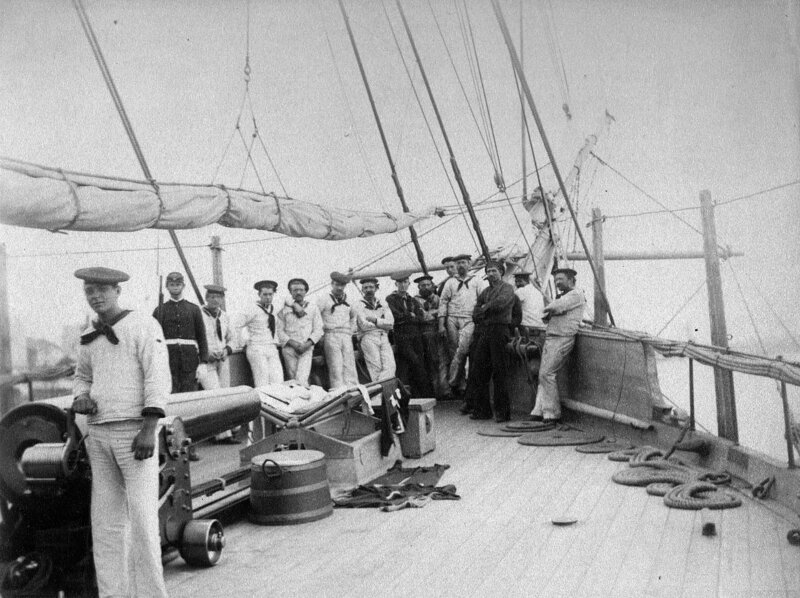 420k USS Quinnebaug crew members pose for a photo on board the ship, taken at Antwerp, Belgium in October 1884. 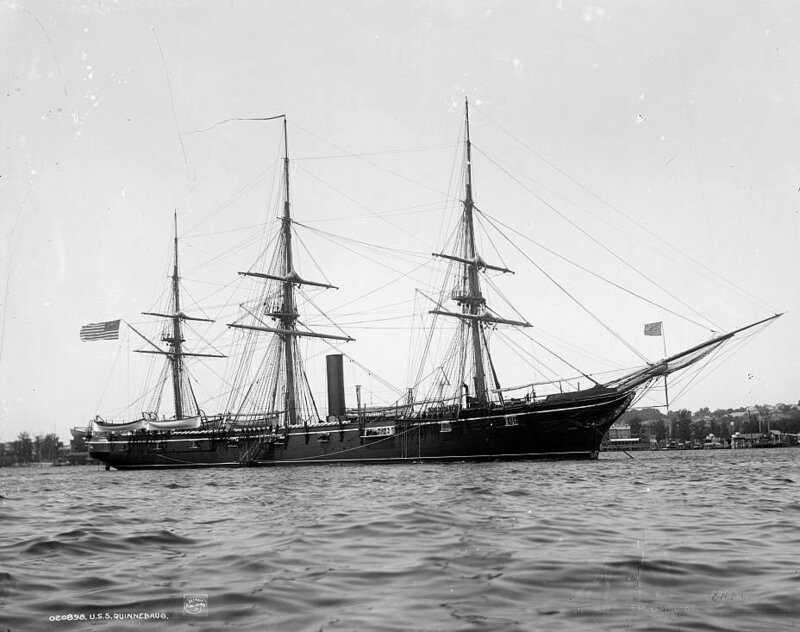 115k Starboard bow view of USS Quinnebaug at anchor sometime between 1890 and 1901, location unknown.